This article was reproduced from facing-change.org. Since I wrote my master thesis about peatlands, I not only learned a lot about these fascinating ecosystems, but I also realised that a lot of people do not know them. Or if they do, they are not aware of their importance. Therefore, I thought it is high time to write a few words about them. Peatlands do not make a big show of their presence, they are rather discreet and some people would even describe them as being bleak and monotonous. I would not put it like that. Their hidden and mystic beauty might require a second glance. But once you have recognised it, you will discover so much more. Here you can get a first impression. In other words they are land areas saturated with water. As a result peatlands feature an array of not only terrestrial habitats but also aquatic habitats too, which makes them very diverse ecosystems. However, not all wetlands are peatlands! Peatlands are characterized by the accumulation of incompletely decomposed dead plant material (organic matter), which is called peat (1). At first sight, this might just look like usual wet soil you also have in your backyard after a heavy rain, but the composition and chemistry is very different. The formation of peat is only possible under a permanent condition of high water saturation and a high rate of plant production exceeding the rate of decay. In short, healthy peatlands always show a high water table at least close to the surface (1). Consequently, living conditions are harsh since the peat is very acidic and generally nutrient-poor. If you have a look at the map below, you can see that peatlands are globally distributed and present in almost every country. However, due to their dependence on appropriate climate conditions they occur mainly in tropical, boreal and subarctic zones, like for example Canada, Scandinavia or Indonesia. They are also widespread in Ireland and the UK. If you have ever visited these places, likely you also came across peatlands even if you were unaware of it! The wide geographic distribution leads to a large diversity of peatland types. Peatlands in Scandinavia are not like tropical peat swamps in Indonesia; however, they all share the trait of peat formation. 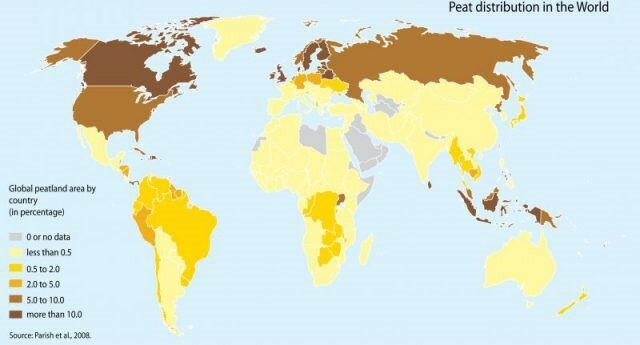 Figure 1: Global peatland distribution (Riccardo Pravettoni, UNEPGRID-Arendal). Peatlands are doing a great job in supporting the global system! One of their major tasks is climate regulation. They store the carbon from dead plants in the peat, where it cannot react with oxygen to form CO2. The bottom line is that peatlands remove CO2 from the atmosphere (via the plants), capture it in the ground and therefore counteract global warming! Peatlands are also of global importance for biodiversity conservation. They represent markedly heterogenic ecosystems and offer various different microhabitats, resulting in a unique and highly specialized flora and fauna. Due to the harsh conditions, biodiversity is usually lower compared to other ecosystems in the same biographic region. However, natural peatlands hold more rare and threatened species, which are especially adapted to the water-logged landscape. Peatlands usually provide particularly suitable conditions for mosses and liverworts and hence, play a significant role in maintaining moss diversity (1). Peatlands show a strong interconnection of water, vegetation and peat which makes them particularly delicate ecosystems. The disturbance of one of these components, even if only happening on a small scale, disrupts the natural balance of the whole system and causes a chain reaction that sooner or later will affect the other components as well (1). Consequently, human activities have strong impacts on the general health state of peatlands. 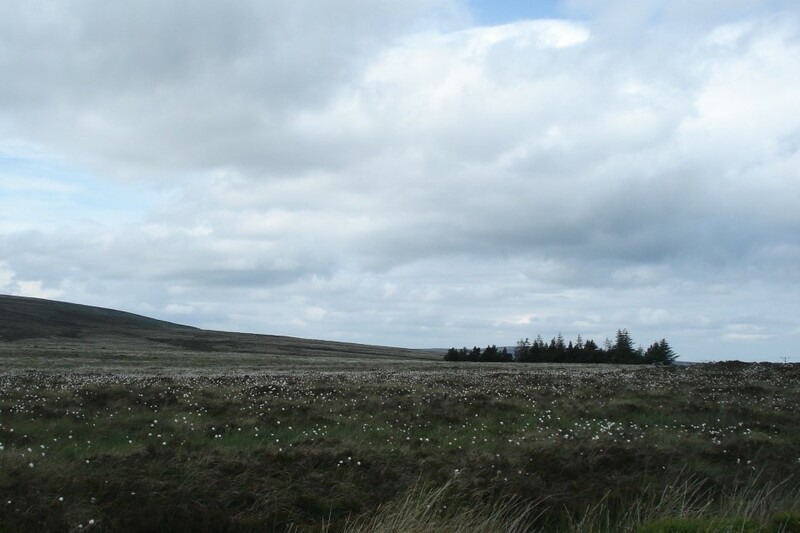 Peatlands are drained for agriculture and forestry, they are used for cattle to graze and in some countries peat is additionally extracted for domestic heating. Along with that, land clearing, urban development and environmental pollution are typical human activities that further disturb the natural balance of peatlands. Almost all of these human impacts are associated with water loss. Water loss disrupts all functions of a peatland ecosystem – with global consequences. If a peatland is drying out, the dead plant material decomposes faster. As a result the carbon that was once captured in the peat gets released as CO2, a greenhouse gas adding to global warming. Furthermore, human activities have dramatic impacts on the natural biodiversity since adapted bog species cannot compete under changing conditions and lose their habitat. In tropical regions peat swamps are drained and cleared in order to grow plantation crops like oil palms or rubber. This constitutes a very bad idea; not only for the global climate or endangered species such as tigers and orangutans but also because the dry carbon rich peat is easily flammable. As a consequence wildfires are causing even more problems – for nature and humans. According to the Millennium Ecosystem Assessment “the degradation and loss of wetlands (including peatlands) is more rapid than that of other ecosystems” (2). The situation is precarious. In order to fight the consequences of global peatland degradation, peatland conservation and restoration has become an important issue. Indeed, there are several international policies that consider peatlands, including the United Nations Framework Convention on Climate Change (UNFCCC) or the Convention on Biological Diversity (CBD). They commit countries to undertake appropriate measures to ensure peatland protection and restoration. However, it is not an easy task and it requires more than the attention from governments. It also requires attention from us, that we start appreciating the real value of peatlands and that we understand why they are at risk. If we do that, we all can do something on a small scale in order to help protect these stunning ecosystems, by raising awareness and by avoiding the products that are driving peatland destruction. 1. Parish, F., A. Sirin, D. Charman, H. Joosten, T. Minayeva, M. Silvius, and L. Stringer. 2008. Assessment on Peatlands, Biodiversity and Climate Change: Main Report., 215 pp.